My mom and dad had a patch of rhubarb on their small homestead. As a kid, I could never resist picking a sweet/sour stalk to munch on while playing outside. Mom would take the “leftovers” and make Strawberry Rhubarb Pie. Yum! We grow rhubarb on our property, it’s actually pretty easy to get started. You can purchase crowns or plants from your local garden center or order them online. Rhubarb is a cold hardy perennial with large leaves and pretty red stalks. The stalks are edible and have a tart/tangy flavor. They make delicious jams, jellies, sauces, pies and other desserts. They are also easily paired with other fruits, especially strawberries. The perfect location to plant rhubarb is in full-sun to partial shade. 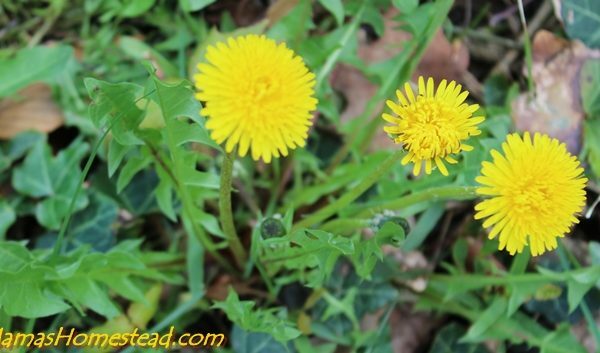 Plant crowns or plants in well-drained, fertile soil when soil becomes workable in early spring. Here in Ohio, that’s end of March to early May. When working your soil, be sure to add lots of compost and organic fertilizer, such as manure or compost tea. This will give your rhubarb a great start for many years of production (over 30 years with excellent care). Space crowns/plants, roots spread, about 3 feet apart, just below ground level (1½-2 inches). Proper spacing will give them plenty of room to grow and expand over the years. If you plant them too close together, they may be more susceptible to disease and pests. Water, fertilize, and cultivate your rhubarb patch on a regular basis and give your new plants plenty of compost the first year. If your rhubarb begins to produce flowers, cut them off at the base of the stalk. The flowers will take energy from the plant and possibly stunt next year’s growth. In the fall, rhubarb stalks may die back. Remove the dead plant debris and cover with 2-4 inches of mulch, we use leaf mulch, because we have a lot of trees on our property. Rhubarb loves cold, Northern climates where winter temperatures hit below 40 degrees F.
For best results do not harvest any stalks from your newly planted rhubarb the first year. Harvest only a few stalks the second year. 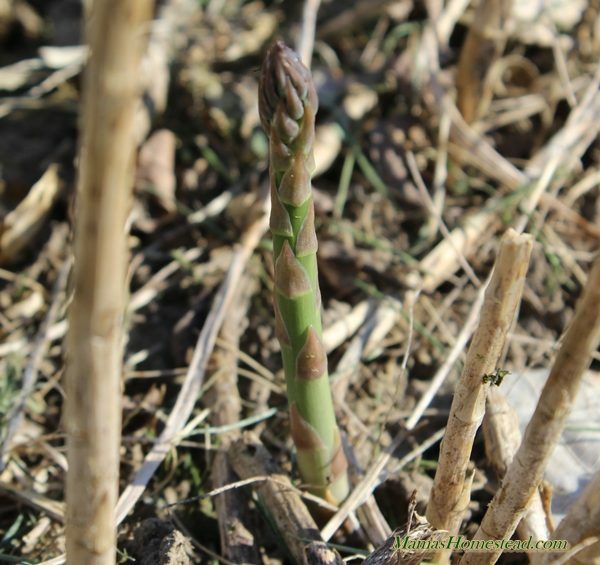 The next year and for the years to ahead, you can start harvesting in early spring to early summer (about an eight week time span). Remove less than half the stalks in any given year, so the roots can re-absorb energy from the remaining stalks and leaves for the next growing season. Harvest only rhubarb stalks that are 12-18 inches long and mostly red in color. Early spring produces the most flavorful and tender stalks. To harvest, grab the stalk at the base and twist while pulling sideways. Remove the leaves at the top and discard. The leaves contain a high amount of oxalic acid that is poisonous to people. Do Not Eat! Rhubarb stalks can be stored in the refrigerator for up to a week. For best results, wrap in damp paper towels and place in a container or place in a glass or vase with water as you would a bouquet of flowers before placing them in the fridge. 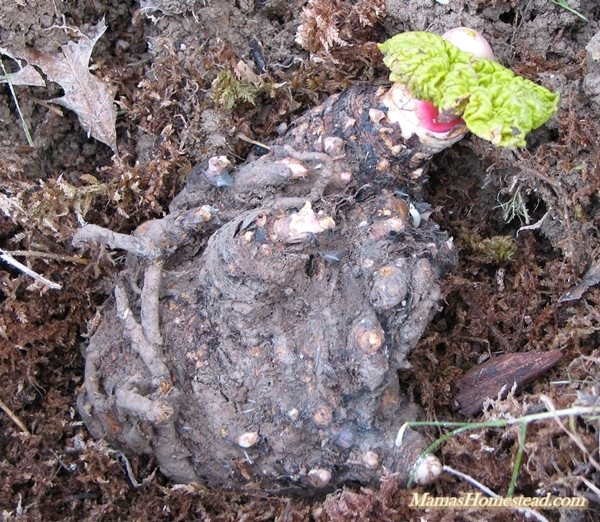 If you have healthy plants, you can propagate rhubarb every 3-4 years. The plants will become crowded and the stalks will appear thin. 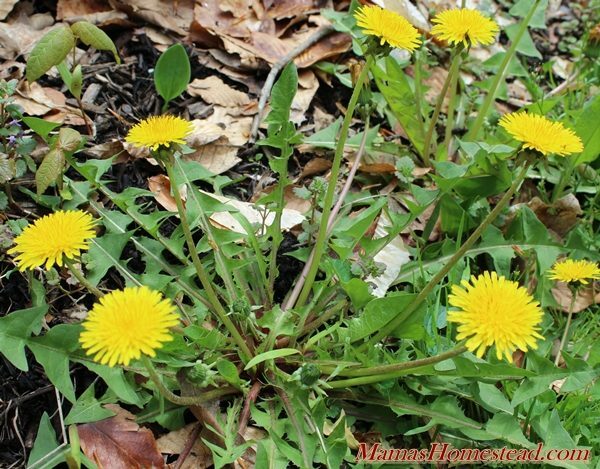 You can dig and divide the plants in the fall or early spring while they are dormant. This will actually rejuvenate your plants and cause higher yields. 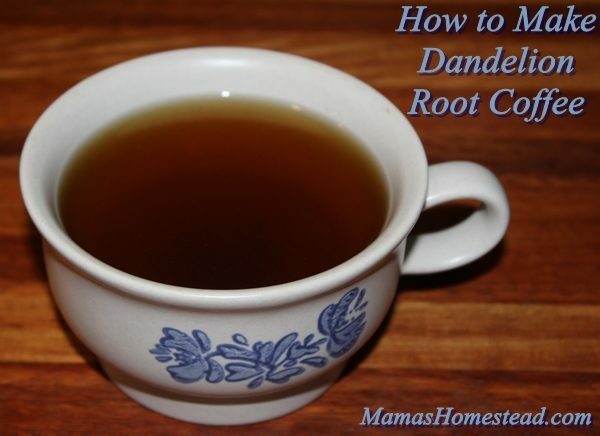 Dig and lift clumps of roots (root ball), cut roots into 2 inch pieces, being very careful not to damage buds. 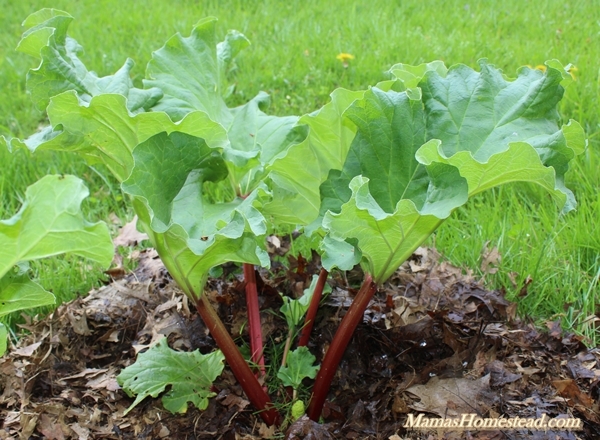 Plant your new rhubarb plants in another location or give some to a friend, who wants to start their own rhubarb patch. Tell me your thoughts on Planting, Growing, and Harvesting Rhubarb. Any tips you can add? How is “homesteading” different from living on a farm? Here in Wisconsin rhubarb is quite plentiful in several different varieties. I inherited a plant when I bought my current home, the remnants of an old dairy farm. I have no idea how old the plant may be. The plant was located in a flower bed where it was shaded almost all day. It would grow stalks about the size of pencils and leaves a little bigger than my hand. Having grown up with rhubarb (in Cincinnati, OH), I knew this was not the place to grow rhubarb. I dug the plant up and split it into four new plants. I relocated the plants to the garden area where I prepared a raised bed with lots of composted horse manure (from my own horses) in a place where they would receive 100% sun. This combination of the raised bed (they like water, but not wet feet), full sun (why else would the leaves be so big) and organic matter (love the organic matter) is just the right combination for rhubarb. They are now very high producing plants. I can’t eat and give away as much as I produce. I even donated 75 pounds to the local food pantry last year. I think the variety I have is called Victoria which I believe is an older variety and known for its production and size. My stalks easily reach more than 3 feet in length and up to 2 inches across with leaves 2 feet across. Early in the year, mid-May around here, even at that size they are very tender and excellent for eating. The variety grows stalks that are red at the bottom and progressively get greener until they are all green at the leaf end. The best method I found for actually harvesting the rhubarb is to firmly grab it near the base and bend it sideways (in the same plane as the flat face of the stalk) and pull up gently. This creates a tearing force right at the base of the stalk and cleanly separates it from the plant. I remove the leaf completely about an inch down from the base of the leaf when it is for my own use. If I am giving it to someone else, I leave about an inch of the leaf attached so that person can decide how close to the leaf they want to cut it. I try to stop picking around the 4th of July with one last hard picking and then let the plant recouperate and grow out for the rest of the year. My plants also produce a prodigeous number of flower stalks as well which must be cut out as soon as possible to preserve the strength of the plant.